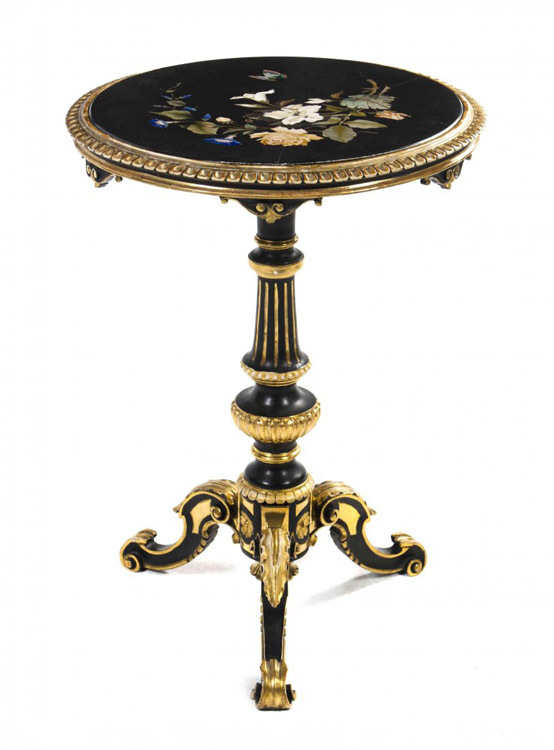 The end of the Tuscan Grand Duchy in 1859 spelled disaster for the pietre dure workshops, which had always been closely linked to the court of the Medicis. Notoriously uninterested in art, the House of Savoy, now the ruling family of the unified country, completely ignored their work, preferring instead to obtain their furnishings and gifts - which were bourgeois rather than royal - from private Florentine workshops, such as that of Enrico Bosi. 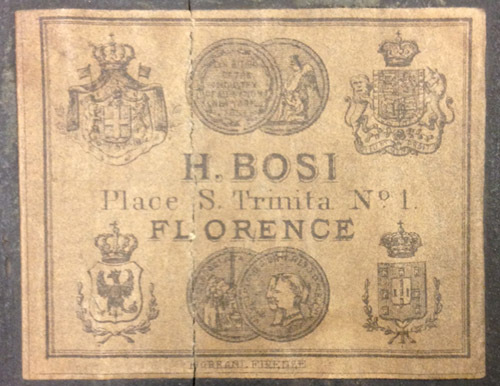 Bosi established a workshop on the via Tornabuoni, Florence, in 1858, and for the forty years following exhibited widely, both in Italy and abroad. He was a personal acquaintance of Victor Emmanuele II, who made him an equerry, and he probably made the frame for the portrait of the King presented to the Bey of Egypt in 1870.